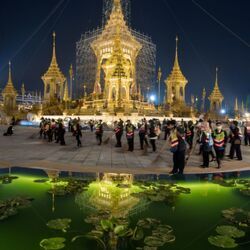 How much is Maha Vajiralongkorn Worth? 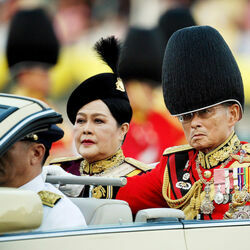 Maha Vajiralongkorn net worth: Maha Vajiralongkorn is the crown prince of Thailand and has a net worth of $30 billion. 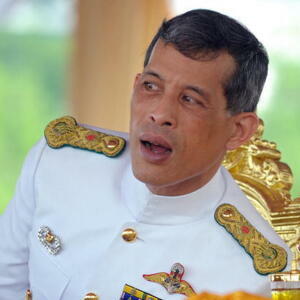 Maha Vajiralongkorn was born in Bangkok, Thailand in July 1952. He was made crown prince by his father King Bhumibol Adulyadej and is the only son of the King and Queen Sirkit. Maha Vajiralongkorn graduated from the Royal Military College and trained with Australian, British, and United States armed services and became a qualified military pilot as well as helicopter pilot. He served in military operations during the 1970s against the Communist Party of Thailand. Maha Vajiralongkorn will succeed the throne after his father passed away on October 13, 2016.